Can Meditation Reduce Your Opiate Cravings? Mindfulness meditation is an effective way to reduce cravings and even pain associated with addiction to opiates. More people are getting swept up into the opioid epidemic from young teens to older generations who use the drug for pain relief or simply to achieve a high. New research suggests meditation can reduce pain and cravings for opiates. A thermal probe was used to heat part of the participants’ skin to 120.2 °F with participants using a sliding scale to rate pain. The results varied for each group in the study. The meditation group which received naloxone experienced pain ratings reduced by 24% from baseline measurement. What this signifies is the body’s opioid receptors are chemically blocked yet meditation was able to significantly reduce pain by using a different pathway in the body. Other results demonstrated participants in the meditation group who received placebo-saline injection also had pain ratings reduced by 21%. Participants on the non-meditation control groups reported increases in pain whether naloxone or placebo-saline injection was received. Meditation, therefore, was discovered to travel an entirely different pathway than the opioid system. Meditation has the ability to reduce pain in an entirely different fashion than opioids. Particularly for persons who have built up a tolerance to opiate-based drugs, meditation may prove an alternative, non-addictive, way to support pain reduction. Additional research is needed to investigate if and how meditation may affect chronic pain conditions. It is believed, however, meditation may be used in conjunction with other traditional drug therapies to enhance pain relief without producing negative side effects which occur from addiction including other consequences of opiate drug use. As a practice, meditation is a great tool to incorporate into a person’s daily routine. Particularly for individuals with addiction, recovery from opiates and cravings can be reduced by meditating to calm the mind and body. 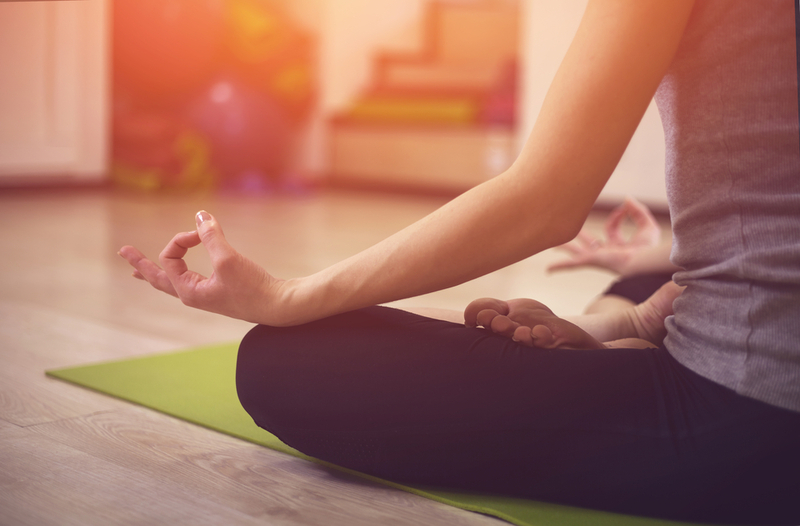 Finding a quiet space is a good first step to get started but if it seems difficult to focus, it may be helpful to find others who practice meditation as a supportive mechanism. The goal of meditation is to quiet the mind and body and take the focus off daily life and stressors. Regardless of what research claims, this can be a beneficial practice for any person who seeks to lessen cravings from drug addiction and find more peace in recovery. Addiction recovery is challenging but there is hope. Hired Power offers help for those struggling with opiate addiction. Call us for more information on how we can help support your journey. 800-910-9299.